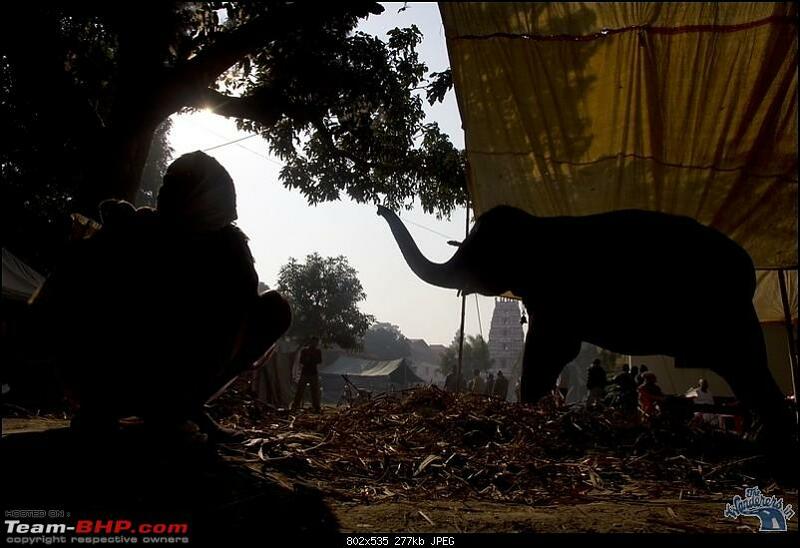 Before I post the bicycle journey to Leh and the trek to Stok Kangri, let me first complete these 2 short travelogues from Bihar - one of the lesser yet most ancient Sonepur Mela and the other of Valmiki Nagar National Forest, on the Bihar-Nepal border, again a national park that is so diverse and vast yet much less travelled to. End of November was pleasantly good to me. With less of work projected, suddenly I had a chance of taking a short break. 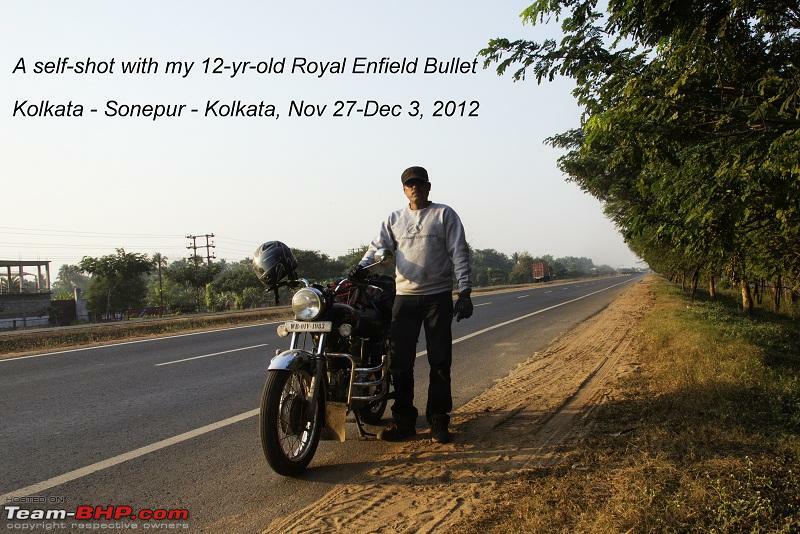 With wife and son busy with their office and studies respectively, I start my 12-year-old and a 1.4 lakh km young Royal Enfield Bullet for a solo highway run of 700 km from Kolkata towards Patna. Sonepur mela had been on my destination list for the last couple of years, and this sudden break coinciding with Karthik Purnima, which marks the start of this big fair with the ritual of a dip that thousands of people from near and far by participate, provided me the perfect opportunity of documenting this ancient fair. 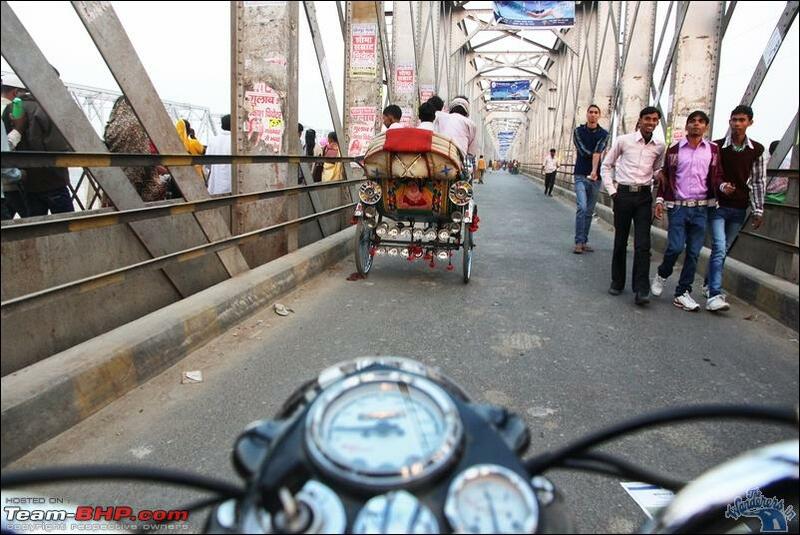 Travelling solo Bengal and then Jharkand and Bihar to my good friend's house, Rajesh, in Patna. Stayed there for the day and then shifted off to a Hajipur hotel so that I can cover the mela early morning and also late night without the 1-2 hrs travel from Patna each day. Last edited by adc : 17th December 2012 at 16:51. 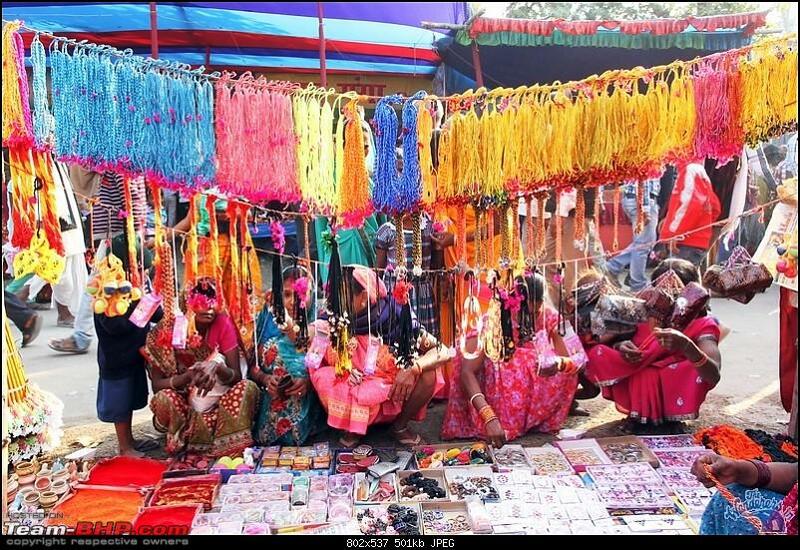 Much less known to the more famous and now vastly commercialized Pushkar mela of Rajasthan, Sonepur still has its own rustic charm – an atmosphere that is a throwback to the days when the small towns were not affected with commercialisation. 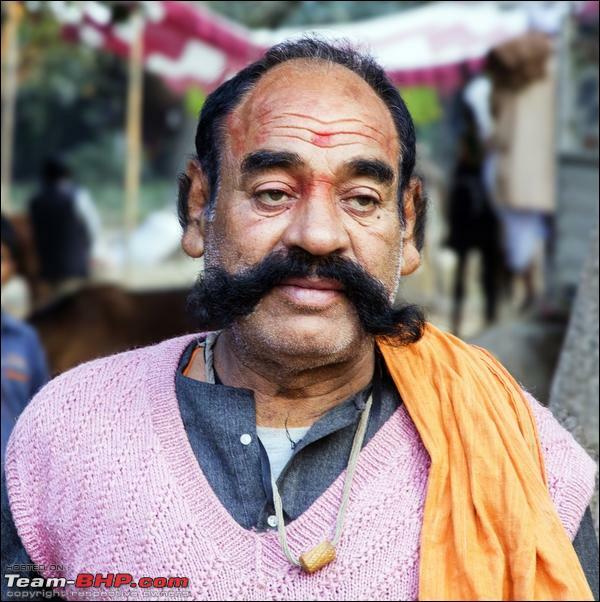 Also known as Harihar Kshetra Mela, it begins every year on Karthik Purnima (generally in the month of November) as devotees flock to offer prayers at the Harihar Nath temple after the holy dip at the confluence of Gandak and Ganges rivers. Entering the mela after crossing the old bridge of Gandak from Hajipur/Patna side, immediately I am plunged into a pulsating market that has the widest possible range of cattle and commodities. 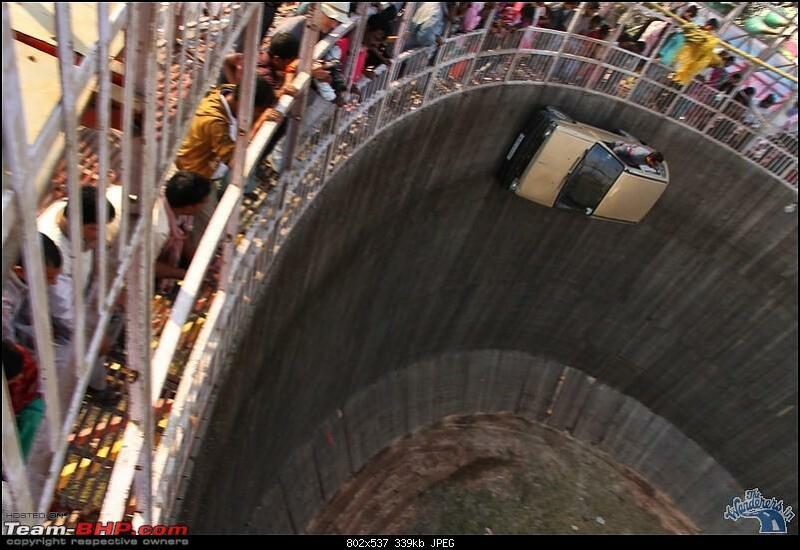 The sights and sounds of this mela is something to behold. 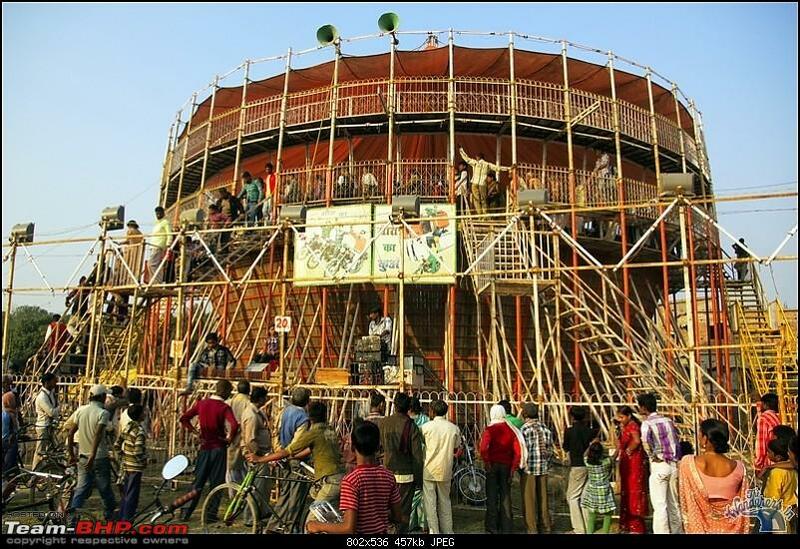 The rustic cacophony and the organised commotion of Sonepur mela enthrals and bewilders. 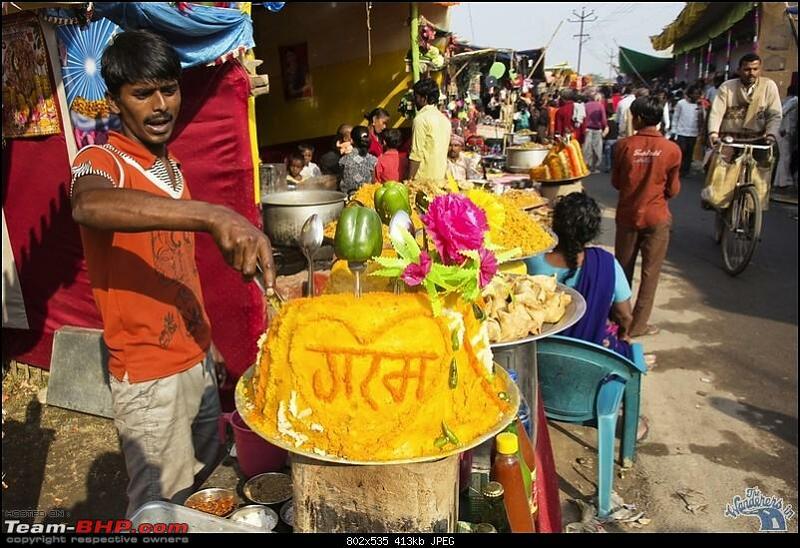 The vast multitude of people has transformed this small town of Sonepur for a month into a cauldron of merriment and celebration. 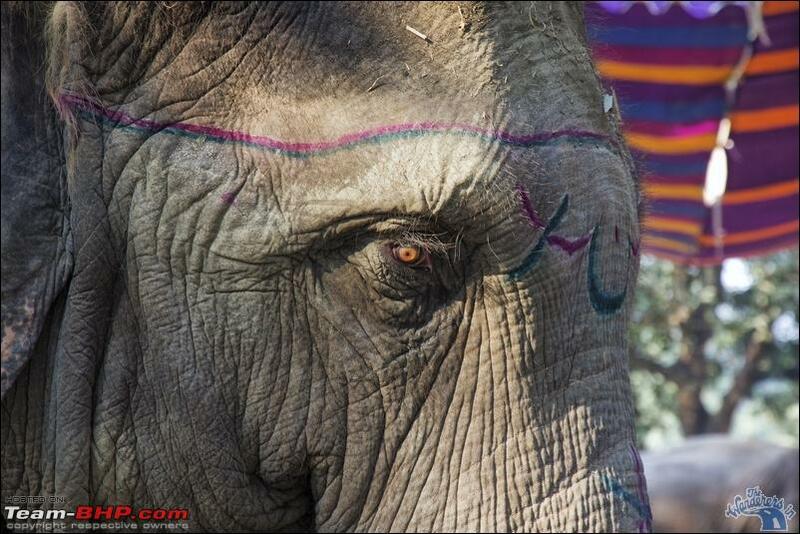 Among the prime attraction among the fairgoers are the elephants. 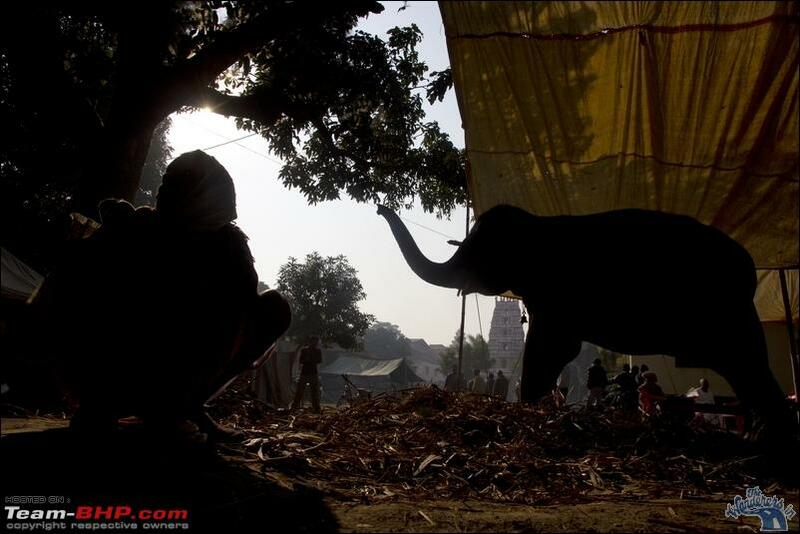 In fact, Sonepur mela has its origin from the ancient times when Emperor Chandragupta Maurya used to buy elephants and horses. It is the only place where elephants are traded; although as per current wildlife laws they cannot be legally sold. 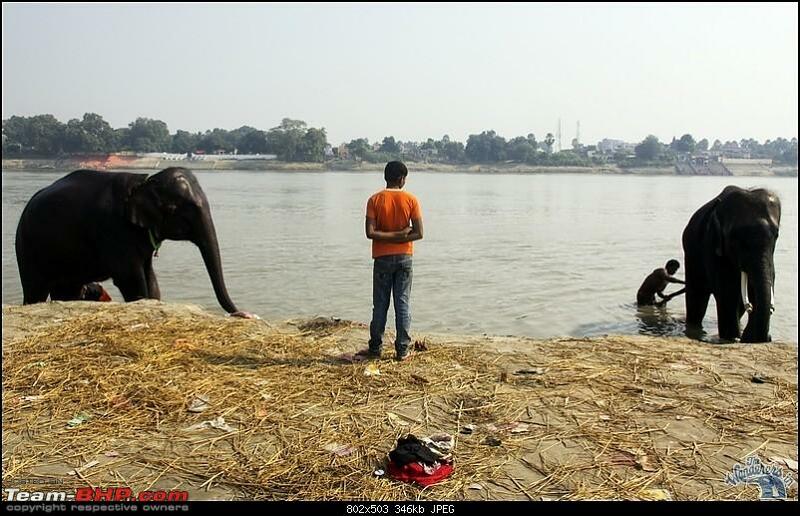 The spectacle of seeing elephants lined up or being taken to the river for a bath, their antics and how mahouts interact with them, and the owners displaying their elephants proudly can only be seen here. 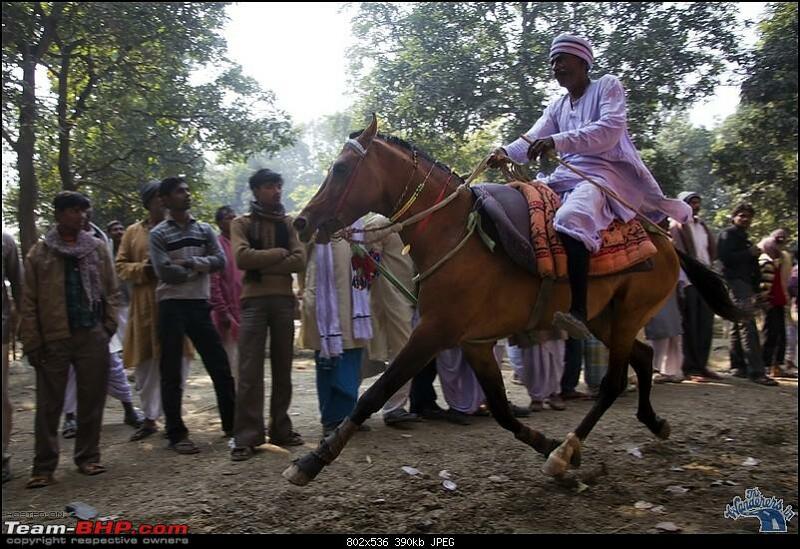 The other attraction that is also a great crowd puller is horse racing, whereby owners prance and ride their horses to show their riding skill as well as the animal’s prowess, both to spectators and potential buyers. 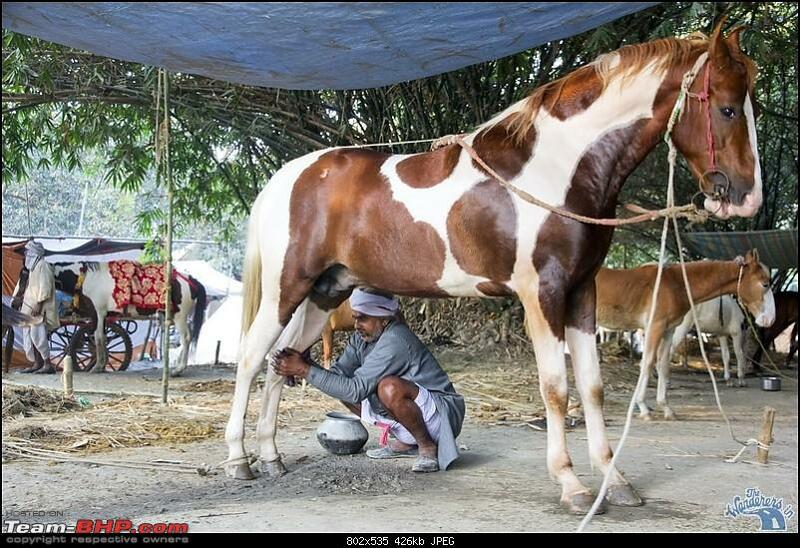 Prized stallions as well well-bred milch cows have their own tents for exclusivity. Theatres or dance shows are also a part and parcel of this fair – starting late evening and continuing till daybreak, thus making this mela a 24-hour affair. Combining music, songs, dance routines and lighting effects, Sonepur theatre is unique in its own way but also absolutely professional in its conduct. But again what overwhelms is the absolute carnival atmosphere at its maximum; the joy rides and the “maut ka kua” stuntmen and their screaming machines, the magic shows of all hues, colourful street food as well as the brilliantly coloured bangles and rural ornaments, the hawkers peddling all kinds of stuff, sadhus selling Ayurveda and local medicine, the cloth merchants from all over India, local jewellery and handicraft stalls, the noise and sound as each announcer tries to get the fairgoers attention, the robot “man” fortelling future – this is a mela that has not changed with time. Those who had our youths in the 80s or even in the early 90s, would revel and recall how melas were in those days before commercialisation and fast paced development set in. These were the days when we saw "Mard" scribbeld on the culverts and "Kasam paida karle wale ki" blaring out from the impromptu cinema on a white canvas being organized by a local club or such. 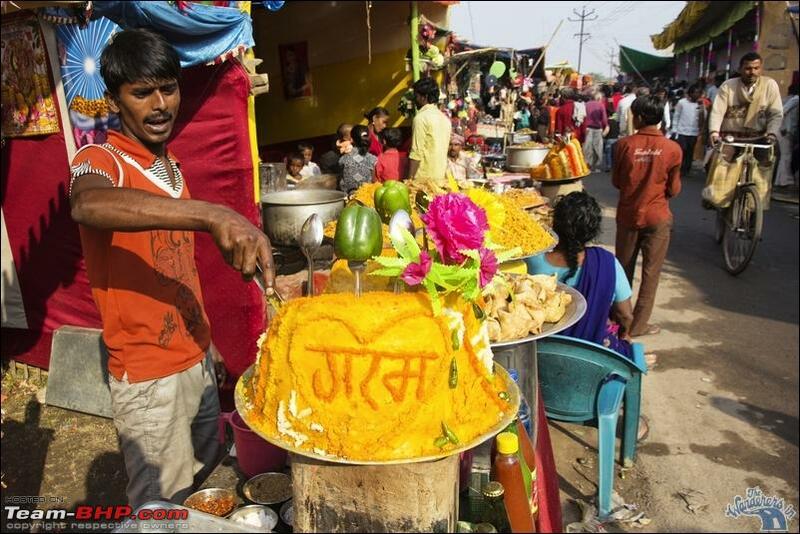 Stand and listen as simple hawkers to "gyani baids" from far and distant lands hard sell their wares - one liners that you will only hear in UP or Bihar. Over the last few years, individual travel in Bihar has been greatly facilitated with its vastly law and order status thus mostly freeing itself from the shackles of negativity. 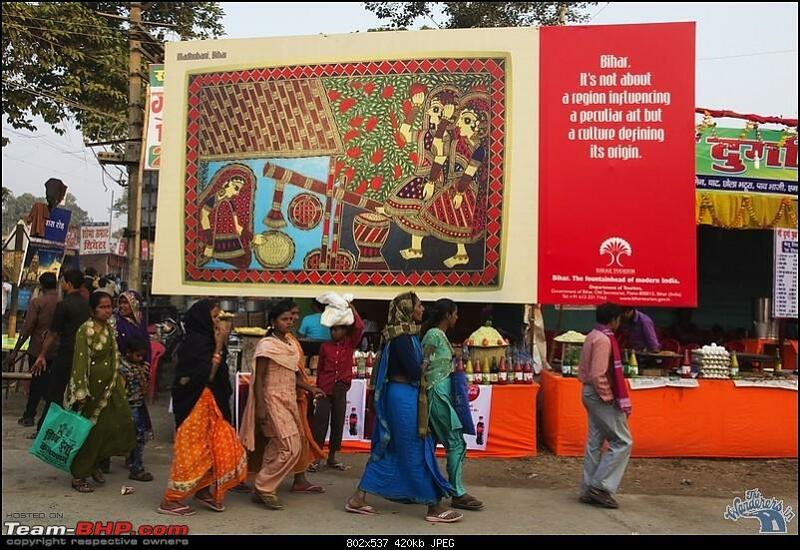 Moreover, to give the mela a more professional outlook and to make this fair one of the State’s main calendar event, Bihar Tourism has taken up the responsibility for the first time to coordinate in a more organised and professional way yet maintaining the charisma of this ancient fair. As I ride back with a whole lot of digital images as well as fantastic experiences and memories for 4 days, I leave a mela still revelling itself among throngs of amazing people within a brilliant atmosphere of fun and festivity. 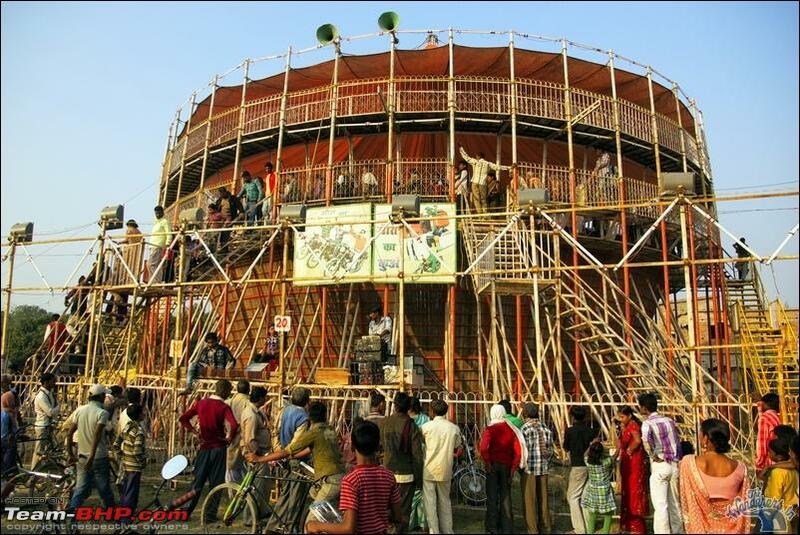 Sonepur mela in 2012 commenced on November 26 and will end after a month’s duration on December 27, 2012. 1. 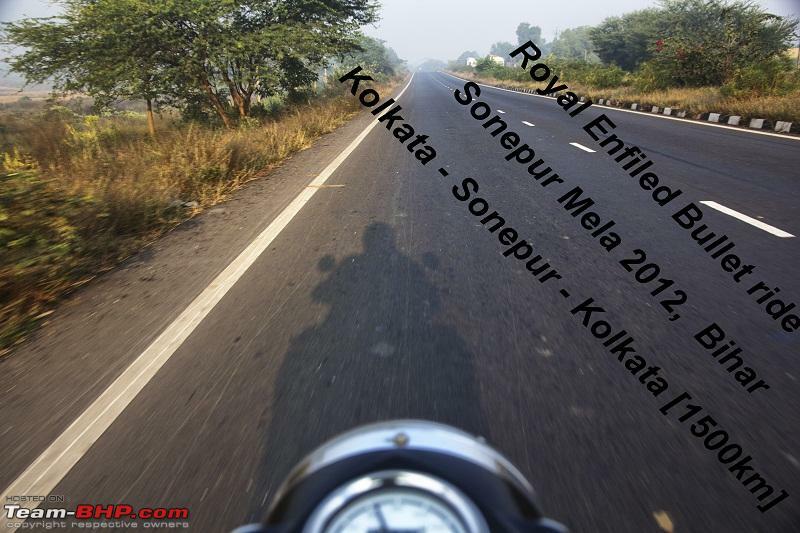 A fantastic solo Bullet ride - pure riding done with 250 km to Asansol covered in 3 hrs 15 mts with some jam at Panagarh, the Asansol to Barhi in absolute beautiful NH2 done of around 200 km in 2 hrs 15 mts and the rest Barhi to Patna of 200 km to Patna along NH31 done in 4.5 hrs with a short break in between. 3. 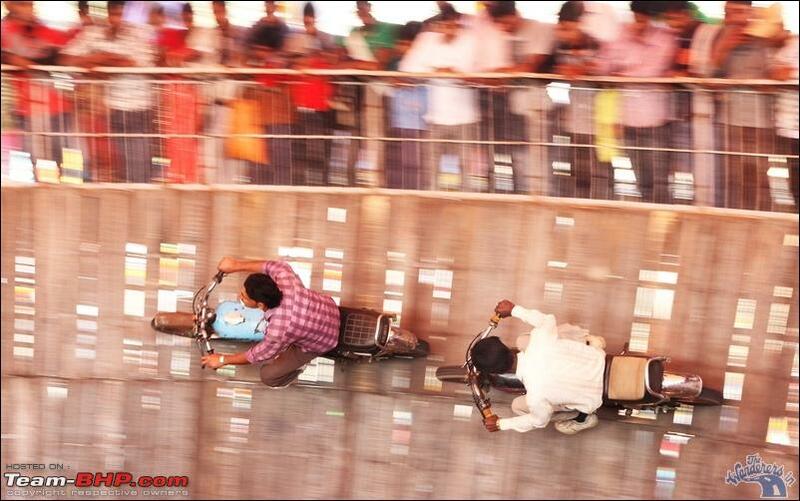 Absolutely loved the Mela atmosphere and documented the Mela in its full for the next few days. 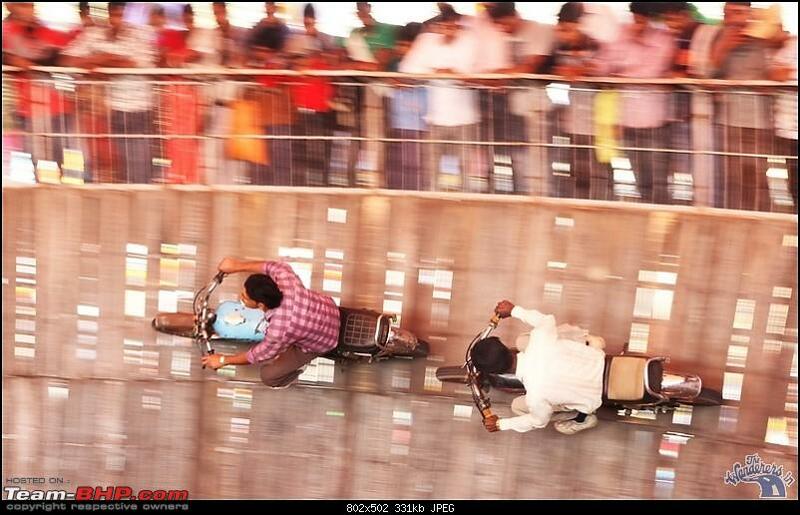 This was my first serious photograph outing, so along with the mela travel, definitely concentrated on images and on what I shoot all through. Anyway enough of talk, starting this photologue and brief description as needed from the next post. 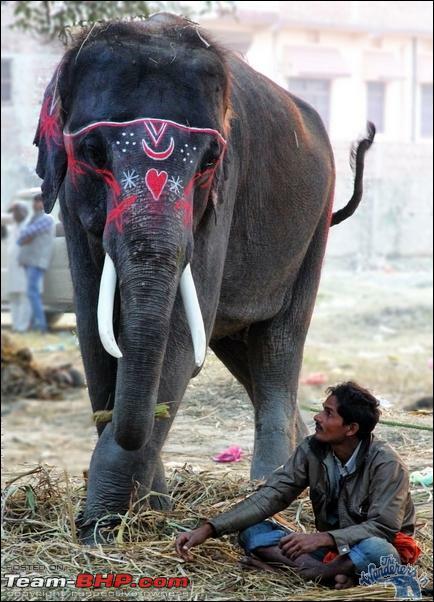 The Sonepur Fair is the only one where elephants are traded - although they cannot legally be sold. 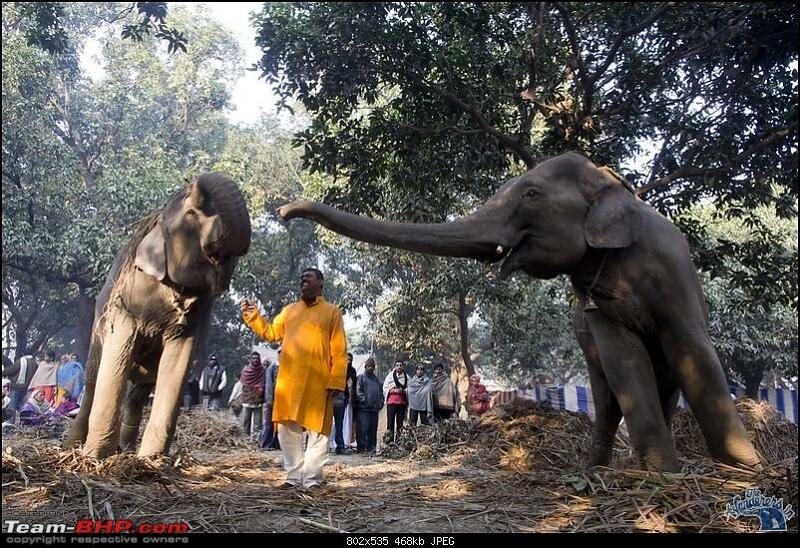 As years go by, lesser number of elephants is seen. Owner rides his horse to demonstrate his skill as well as the animal's prowess to spectators and potential buyers during the Sonepur Mela, November 2012. 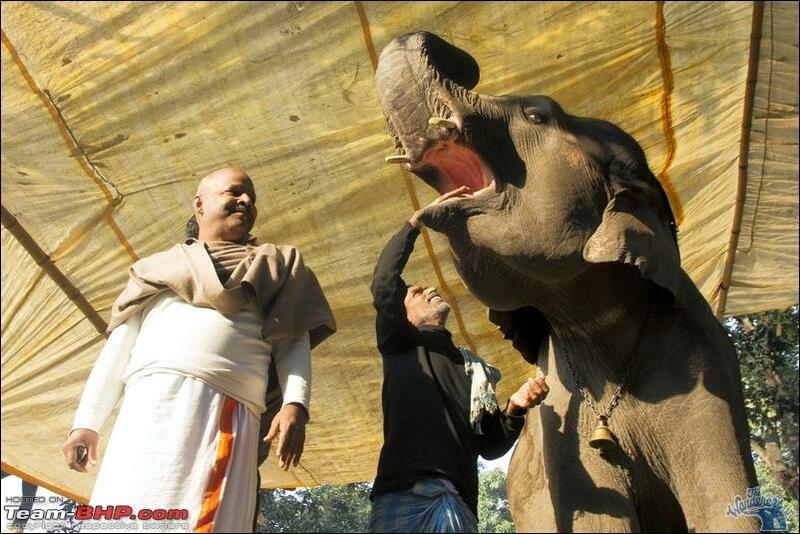 A baby Elephant and his mahout, Sonepur Mela 2012. 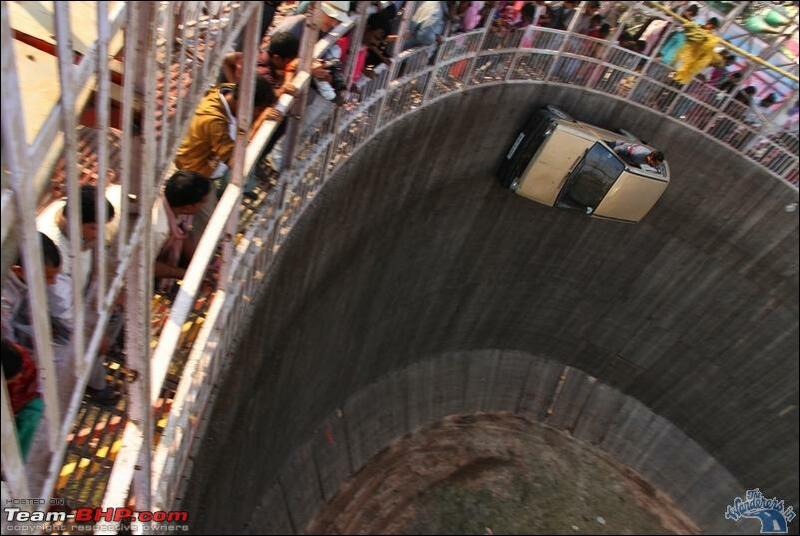 A stuntman drives a car inside a carnival show called "Maut ka Kuaa" or Well of Death -- a show featuring a barrel wooden cylinder inside which motorcyles and small cars travel along the vertical wall and perform stunts. 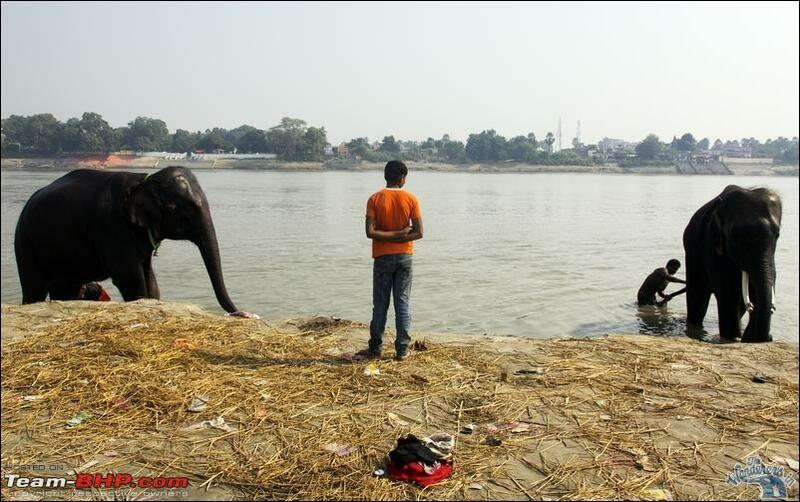 At Sonepur Mela, December 1, 2012. 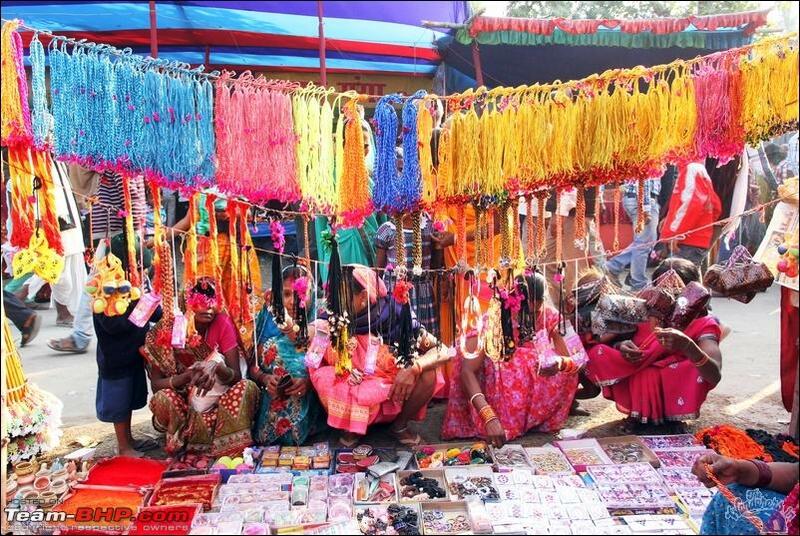 Bihar Tourism has taken up the responsibility for the first time to coordinate in a more organized and professional way yet maintaining the charisma of this ancient fair. Last edited by adc : 17th December 2012 at 16:10. 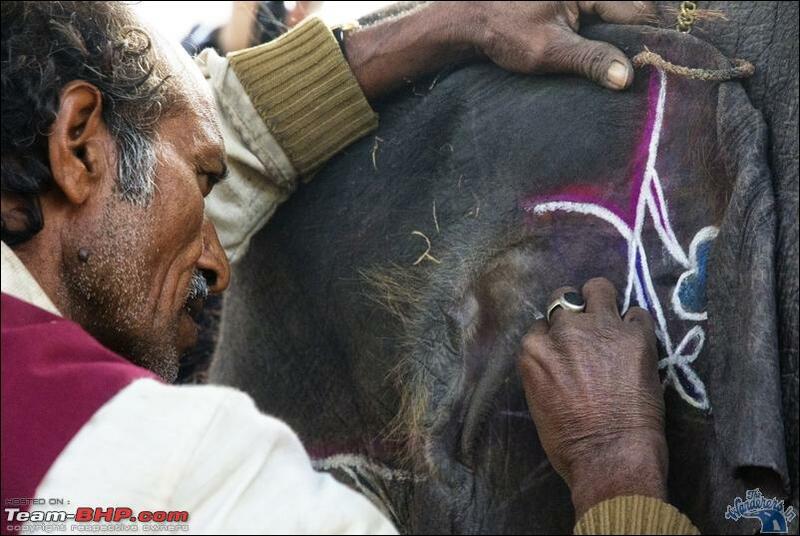 An elephant being painted with decorative colours at Sonepur Mela, December 2, 2012. 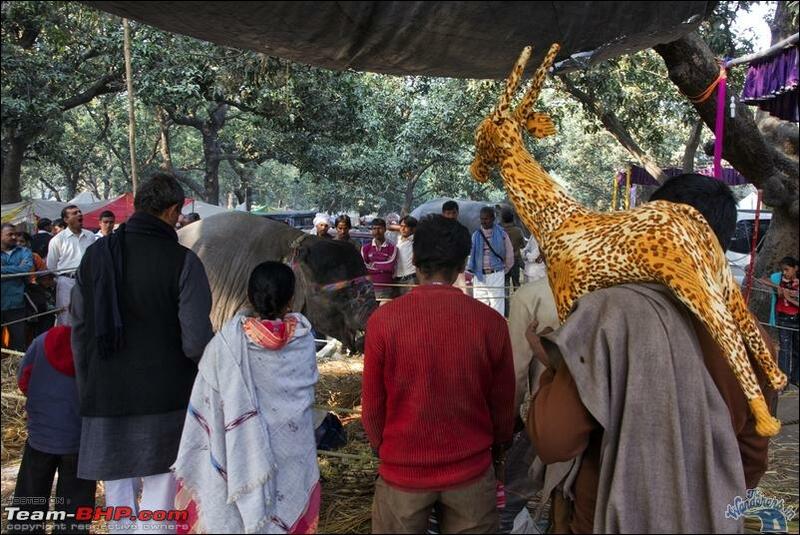 People gather around a baby Elephant at Sonepur Mela, November 29, 2012. Last edited by adc : 17th December 2012 at 16:03. 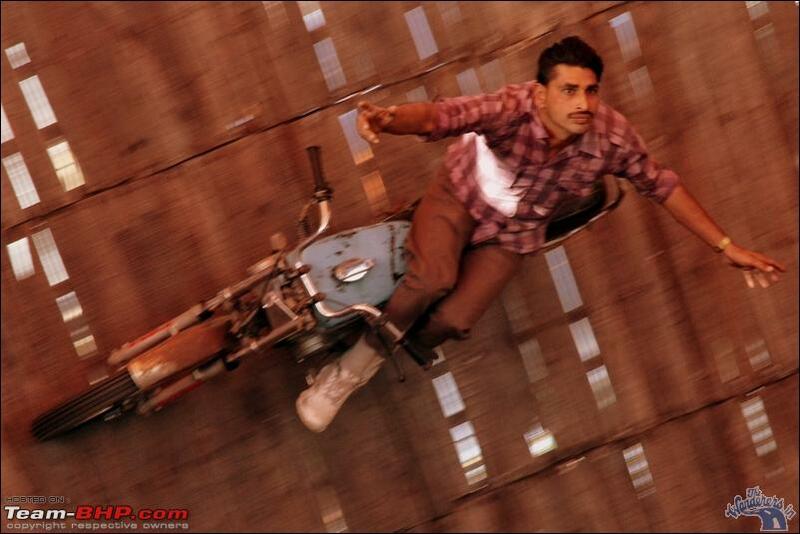 A stuntman gestures as he performs in "Maut ka Kuaa" or Well of Death, at Sonepur Mela, 2012. The fair seems to be a riot of colors! Thanks for sharing! 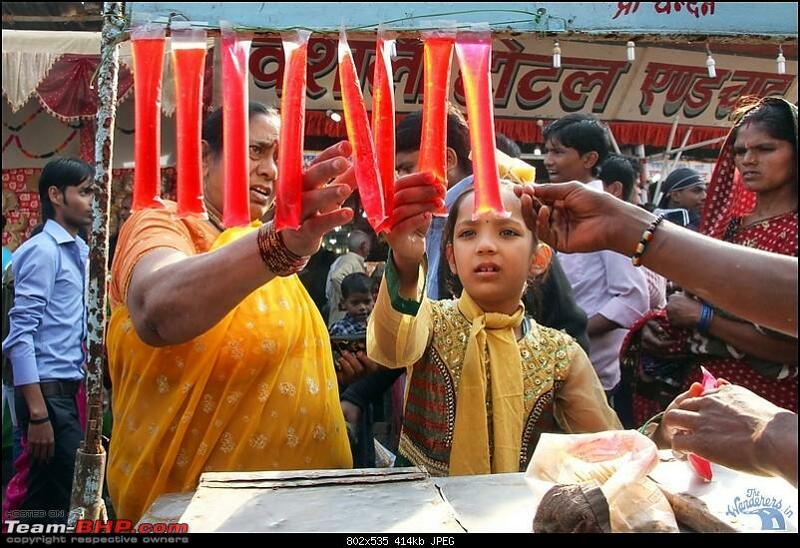 Thank you so much for bringing the beautiful colors of Bihar to us. 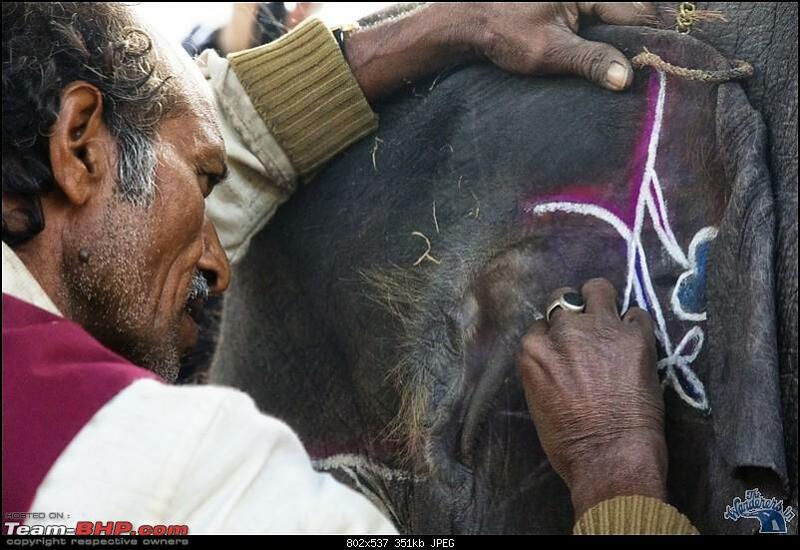 I must say its a very different approach to cover one of the oldest fairs in India, very good pictures showcasing true rustic elements of a fair. 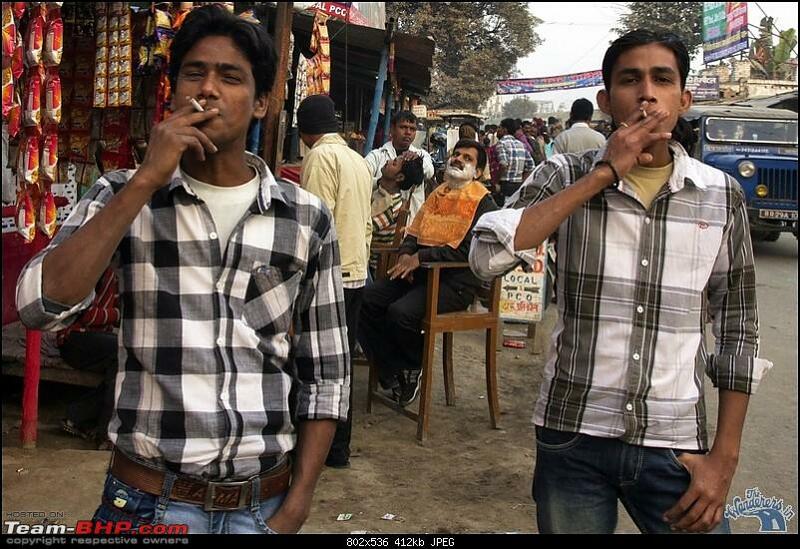 Incredible India. 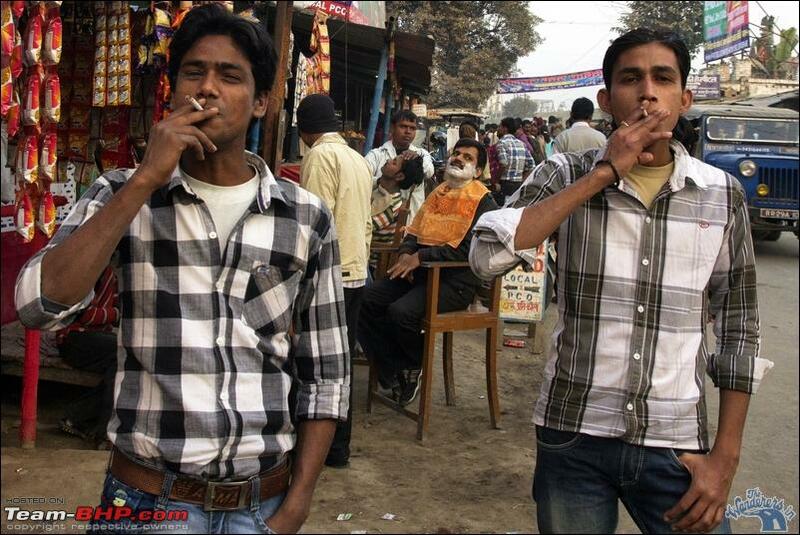 Never heard of this mela before. Thanks for sharing. 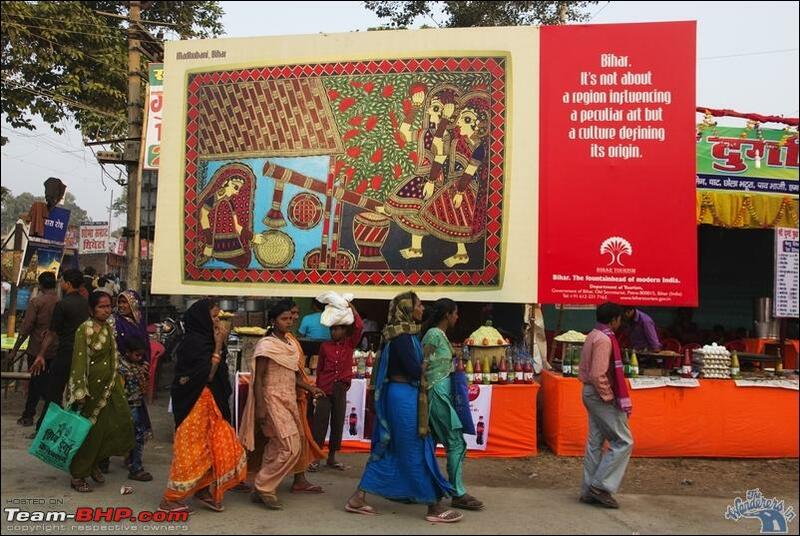 Beautiful pics , making me feel that i should visit such fairs just to relieve old time memories. 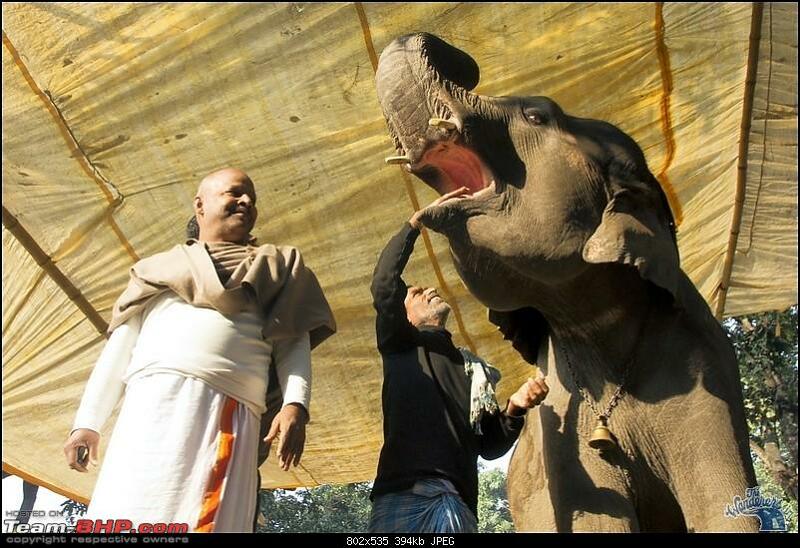 Do share more pictures eagerly waiting for same. 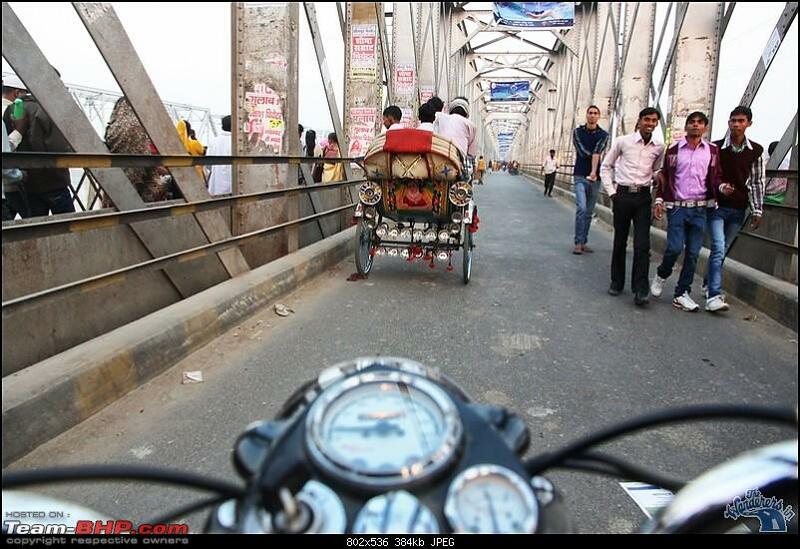 Awesome pics adc, quite different to your other travelogues till date. Awesome pics! You have the knack of capturing the spirit of the event. Well done. 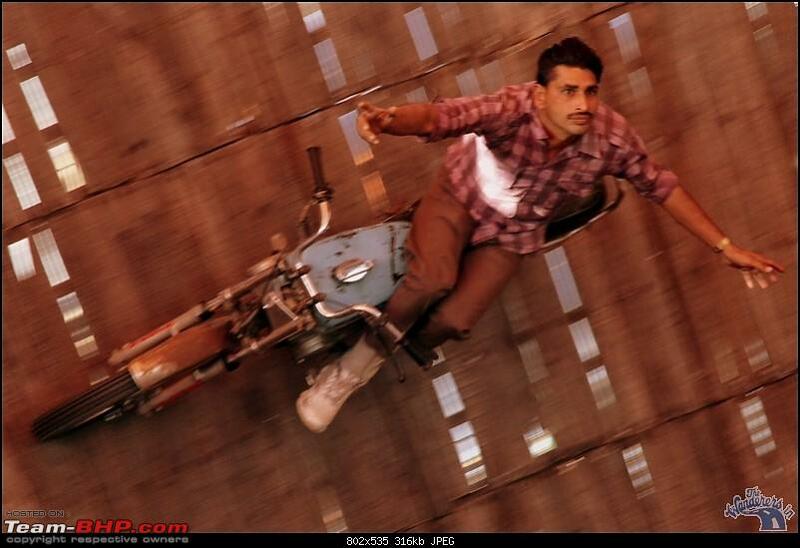 Would be looking forward to the performance of the bullet which seems have been lost in the colours of the mela. That horse with brown patches is beautiful! 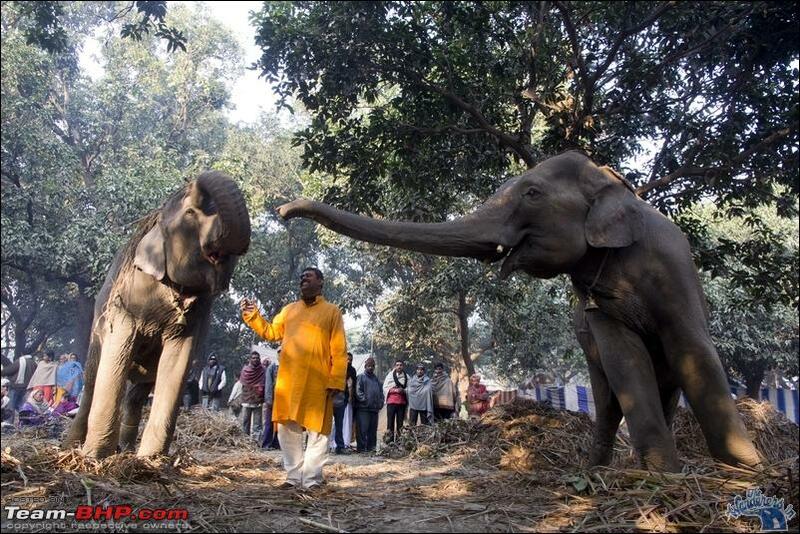 I know, you mentioned that elephants can not be legally sold. 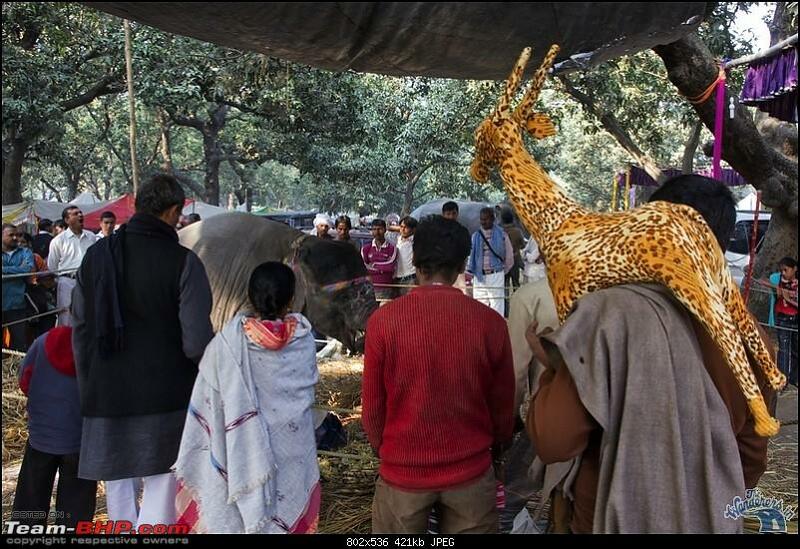 Still, how much does a elephant cost? Any idea? How about horses? Have heard that good horses cost more than cars! So in a way its chepaer to get a car with 50-75 horses under its hood than getting a animal with ONE horse-power! Any idea about any broad range? Disclaimer: Just curious! Not that I am planning to buy an elephant or a horse. PS: Rated the thread well deserved 5 stars! Last edited by SDP : 18th December 2012 at 18:21. Excellent pictures. This is something different than the sea and the mountains and the exquisite landscapes but very engrossing. 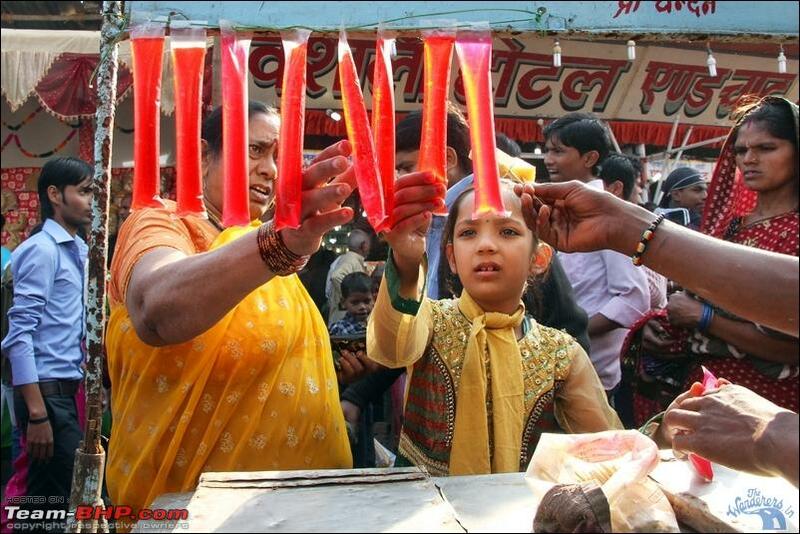 A typical indian rural fair. Loving every bit of it. It was great to hear the stories from you in person and i can now relate them with the pictures. All times are GMT +5.5. The time now is 10:04.